A new Republican majority and changes to a key oversight committee could signal changes for labor and safety regulation in the just-started congressional session. As the 114th US Congress begins work this month, it faces challenges that include historically low ratings. (A recent poll found that only sixteen percent of Americans approve of the job Congress is doing, a record low.) It also has the largest Republican majority of any congress since 1931—a fact which some see as holding great potential to influence forthcoming safety and environmental regulation. Most glaringly, virtually all observers agree that a strongly Republican congress will be unlikely to increase funding for OSHA in any significant way. Some have even suggested that cuts to the agency are possible—both to its financial underpinning and to its reach. After the 2014 midterm election results were announced, several new and returning Republican legislators stated that “rolling back” OSHA and EPA initiatives would be a top priority for them. In the previous session of Congress, Republicans repeatedly made moves to block actions by OSHA on issues ranging from fall protection to illness prevention. However, most of these moves failed due to the majority held by Democrats in the Senate. The new Republican majority in both houses of Congress means that these motions would likely pass if reintroduced. At the same time, few — if any — safety measures introduced by Democrats are expected to pass. For EHS professionals seeking to minimize safety risk, this certainly signals the potential for a change of course. Other changes that may hint at the future of workplace regulation happened last week when Senator Lamar Alexander (R-TN) was elected chair of the Health, Education, Labor, and Pensions (HELP) Committee, taking over the post from Tom Harkin (D-IA) who retired at the end of last year. The ranking Democrat on the committee will now be Senator Patty Murray of Washington. Both Alexander and Murray released statements stressing the important role of bipartisan cooperation on their committee. However, it is likely that the Republican majority means the committee’s focus will be different during the two years that will follow. The HELP committee was created in 1869, and was first known as the Committee on Education. Throughout the late 19th and most of the 20th century, it was called the Education and Labor Committee. Finally, in 1999 it was given the name it goes by today. The HELP Committee — and its three subcommittees — has jurisdiction over many issues directly connected to worker safety and enforcement, including labor, child labor, convict labor, labor standards and statistics, and occupational safety and health. However, as the first few days of the new congress evince, the current focus of HELP Committee leaders may be on issues other than workplace safety. As his first act in the new congressional year, Chairman Alexander sponsored a bill to overturn a provision of the Affordable Care Act requiring employers to provide health care to employees. Ranking Democrat Murray issued a statement in favor of expanding a different provision of the Affordable Care Act. 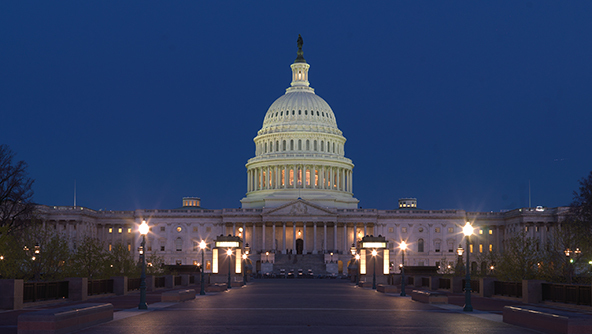 While machinations in Washington could eventually produce substantial regulatory and compliance consequences, many EHS professionals aren’t waiting around for politicians to minimize workplace accidents and maximize safety. They’re showing initiative by staying focused on implementing safety initiatives that go beyond regulatory minimums to create a safer environment for employees, reduce liabilities, improve processes, and contribute positively to the bottom line.